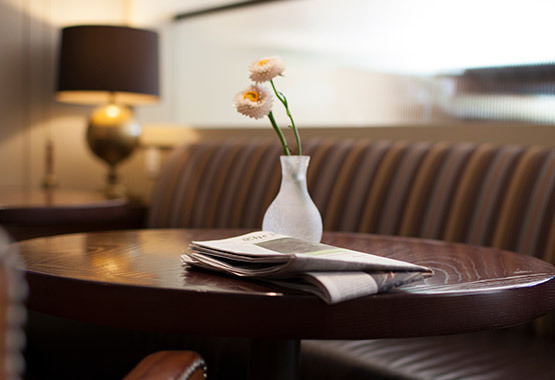 We look forward to your arrival at Stanford Park Hotel, a hideaway in the heart of innovation. This Menlo Park hotel features 162 guest rooms, sophisticated services and amenities, an outdoor pool/patio, and state-of-the-art meeting and event space for up to 100 guests. The Stanford Park Hotel extends an amenity package to encompass services provided during your stay. In addition to the applicable room rate, a taxable amenity fee in the amount of $20.00 will be applied to each sleeping room per night. The Stanford Park Hotel is located at the border of Palo Alto and Menlo Park at the gateway to the Silicon Valley. Adjacent to Stanford University, Stanford Hospital and the Stanford Shopping Center, the Hotel is halfway between San Francisco International Airport and San Jose International Airport. The Stanford Park Hotel is approximately 45 minutes from the city of San Francisco and is a 30-minute drive from either the San Francisco International Airport or the Mineta San Jose International Airport. Oakland International Airport is about a 45-minute drive. In addition, our 50-foot swimming pool and whirlpool spa are heated year round. The Stanford Park Hotel is known for its beautiful patio, elegantly landscaped with multicolored ﬂowers, trees, handsome stone benches, original bronze sculptures and garden. In the lower level, relax in cozy wicker style furniture or by the warm ﬁre pits. Patio tables are arranged around a small fountain and freestanding canvas umbrellas are available to shade guests during the day. Evening events are made magical with thousands of sparkling white lights twining through the trees, bubbling fountains and candles placed on the tables. The Stanford Park Hotel offers ﬁve unique event spaces. Whether you are planning a board meeting, conference, reception or wedding, the Hotel can accommodate up to 100 guests indoors and 90 in the outdoor courtyard. In addition to our meeting rooms, eight suites offer living rooms with ample conversational seating areas, dry bars and separate bedrooms, making them ideal for recruiting events and small, private retreats. Month Avg. Max. Avg. Min. Month Avg. Max. Avg. Min. Nearby attractions include. While the hotel does not have a concierge desk, we are all local experts and delighted to assist with any questions.